Naked Wines has claimed that Fiano and English wine now have the most potential for growth, after stating that Prosecco has reached its peak. 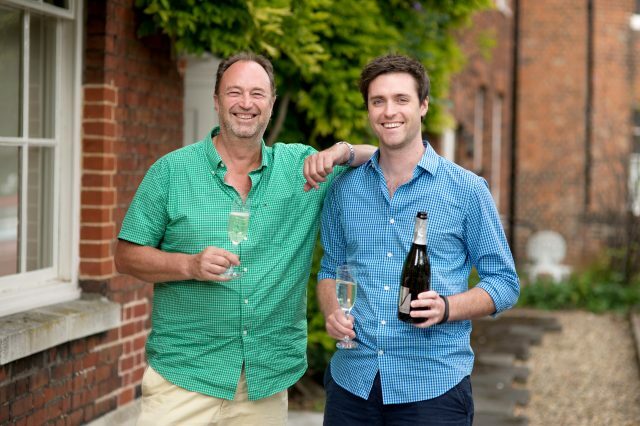 The online wine subscription business, which provides a crowdfunding platform for people to invest in independent winemakers around the world and receive special discounts for the wines they have supported, said investment in Prosecco had fallen by around 26% since their 2016 peak, as other wines gained greater popularity. Sauvignon Blanc was named as the top grape among Naked’s UK Angel investors, accounting for quarter of all angel investments, with around £11.3 million invested in its production. This was followed by Tempranillo, which attracted nearly £6 million of crowd-funded investment. Chardonnay was now the third most popular grape, attracting £5.3 million, on the back of a 145% rise since 2010. Grenache and Shiraz saw investment of around £5 million each, above Cabernet Sauvignon, at £4.5 million, Pinot Noir (£4million) and Merlot (£2.9 million). Blends were also popular, with white proving more slightly more popular than red. Fiano was dubbed a ‘star grape’ by the company after enjoying a 44% rise in popularity, with Fiano from the Campania region of Italy proving particular popular. Eamon FitzGerald, MD at Naked Wines UK, said it was no surprise to see Sauvignon Blanc at the top of the list. Backing for UK vineyards has risen “exponentially”, as interest in home-grown wine gave rise to investment in English wine. However France remained the favourite regions for angel investors, with investment in French winegrowers topping £16.8million, more than two thirds that of the next nearest countries, Italy and South Africa, at £9.8 million and £9 million respectively. Greece, Hungary and Austria have made a dramatic come-back, it said. “What we’re seeing from our customers is a willingness to embrace new regions and styles, rather than just be guided by price and labels.” FitzGerald added. The data also showed that iPhone purchases in the UK have increased by 316% in the last four years, with mid-afternoon (3.10pm), the most popular time to buy wine. It is no surprise to me that prosecco has hit its zenith. Based on numbers in my wine shop show that when prosecco breaches the $15 price point the sales level off, even plummet in favor of less expensive cava. In my opinion, the quality of bulk method sparkling wines can only achieve a certain level of satisfaction. Having tasted several proseccos from Cartizze, considered the finest region for glera, I do not find that the difference in price warrants the purchase as many of these exceed $25 a bottle. At that price you are entering a realm of high quality cremants and even Champagne. Why would you drink prosecco?